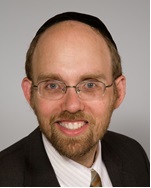 Jewish Home Life Communities has hired Rabbi Steven Chaim Lindenblatt as its director of Jewish life. The former spiritual leader of Congregation Anshi S’fard, known as Rav Chaim, is a chaplain, lawyer and professional counselor who last year helped Jewish Home Life evaluate its Jewish operations, including kashrut and staffing, while the nonprofit organization dealt with growing pains after the 2015 opening of Berman Commons. Rabbi Lindenblatt believes that giving older adults the ability to reflect on and embrace who they are as people and as Jews can help them bring additional meaning to their lives. He has spent many years serving the Department of Veterans Affairs as a chaplain and was one of the first chaplains for Weinstein Hospice, which is part of Jewish Home Life. He also has a private family practice in Toco Hills. His new role is part of a bigger effort to ensure that Jewish Home Life Communities is consistent in how care and services are delivered across the system, whose properties includes the William Breman Jewish Home, the Jewish Tower and the Cohen Home. As the organization embarks on a strategic planning process, it has added a chief operating officer, Jeff Gopen, to the senior management team. In addition, a full-time nurse practitioner will support the residents of all the communities and lead an on-site clinic at the main campus on Howell Mill Road. A systemwide approach to Jewish programming is a key development. Rabbi Lindenblatt will provide chaplain services, oversee kashrut and be a resource to help community-based staff increase the Jewish content of engagement activities. One of his first tasks as the director of Jewish life is the creation of a standard approach to kashrut that can be tailored to each community’s level of observance while being appropriate for the level of health of the residents. Rabbi Lindenblatt is auditing each organization’s level of Jewish-themed programming and observance and will recommend changes based on the desire of the residents. As a result, a community might change from having a lay leader to clergy leading services, as the Breman Jewish Home did, or might add classes to help residents engage in their spirituality, as Rabbi Lindenblatt is planning at Berman Commons and the Cohen Home.